Forensic Hypnosis – Welcome to Infinity Institute International, Inc. A State Licensed School of Hypnosis. Forensic Hypnosis means to investigate with Hypnosis as the main tool. Hypnosis may be defined as – a state of increased receptivity to suggestion characterized by an altered state of consciousness. The degree varies from very light to very deep and usually includes relaxation and increased awareness. $100 discount if paid 21 days ahead of scheduled date, Includes all training materials. 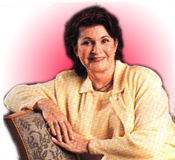 Prerequisites: Basic understanding of Hypnosis, including history, inductions and deepening techniques, and emerging from hypnosis. Jerome Beacham, PhD, Certified Forensic Hypnotist, and Trainer is a Fellow of the International Medical and Dental Hypnotherapy Association®, and the Certification Chairman. Beacham offers courses in Forensic Hypnosis, Hypnoanesthesia and Pain Management, plus seminars in Self-Image, Stop Smoking and Weight Control. 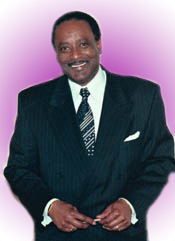 Dr. Beacham is a frequent radio and TV personality. Beacham is a retired Detective Sergeant from the Detroit Police Department and has received formal police training from the FBI, US Secret Service, US Customs, US DEA, as well as the Organized Crime Section of the Detroit Police Department. His Forensic Hypnosis Training was under the tutelage of Inspector Marx Howell (retired) Texas Department of Public Safety. The Law Enforcement Division of Collin County Community College, McKinney, Texas, issued Dr. Beacham’s certificates. Dr. Beacham has taught this program to hundreds of enthusiastic audiences across the USA as well as in Hong Kong and South Africa. His next ports of call are the United Kingdom and China proper.